This talk will focus specifically on two areas within image-guided robot-assisted neurosurgery, namely: a) MINIR: Minimally Invasive Neurosurgical Intracranial Robot and b) Neurosurgical Intracerebral Hemorrhage Evacuation (NICHE) robot. Brain tumors are among the most feared complications of cancer occurring in 20â€“40% of adult cancer patients. Though there have been significant advances in treatment, the prognosis of these patients is poor. Whether there is a primary malignancy or a secondary malignancy, whenever the brain of the cancer patient is involved in treatment, there is a significant impact on their overall quality of life. While the most optimal treatment currently for most brain tumors involves primary surgical resection, many patients may not be able to undergo that treatment plan due to either their poor general health or an unfavorable location (either deep inside the brain or inaccessibility of the tumor) of the lesion. Hence, this is a significant healthcare problem. Similarly, spontaneous intracerebral hemorrhage (ICH) occurs in about 2 million people worldwide. The 30-day mortality rate is about 32-50% and functional independence after 6 months is achieved in only about 20-25% of the individuals who survive such hemorrhages. Removal of the blood clot and decreasing the recurrence of re-hemorrhage using robotic techniques could potentially help with effective management of ICH. In both cases, traditional approaches are limiting, since they do not provide visualization beyond the direct line-of-sight. This talk will focus on our progress on the development of flexible meso-scale image-guided robotic systems for these two National Institutes of Health (NIH) funded projects involving innovative design of the robots and the associated kinematics, magnetic resonance imaging (MRI) compatible actuation, adaptive backbone stiffening of the flexible robot, and evaluation of these systems under the appropriate imaging environment. 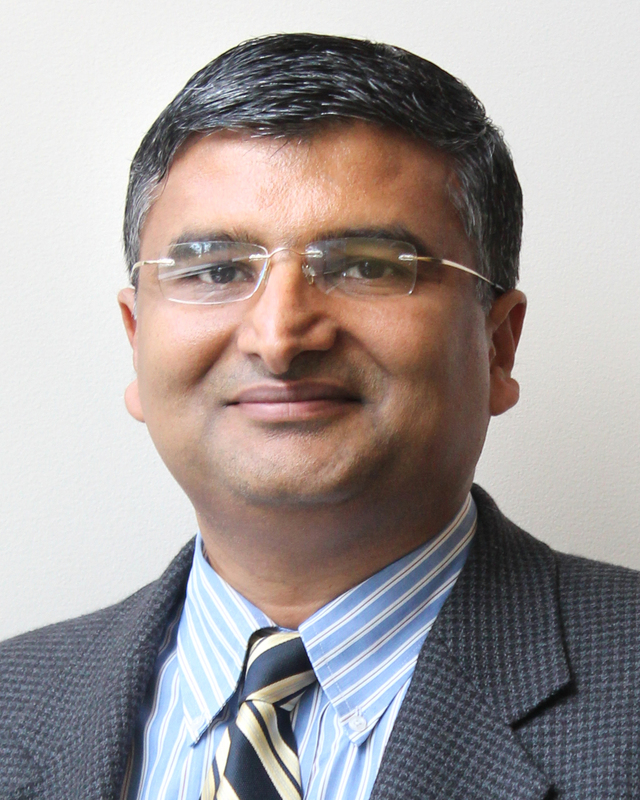 Dr. Jaydev P. Desai is currently a Professor and BME Distinguished Faculty Fellow in the Wallace H. Coulter Department of Biomedical Engineering at Georgia Tech. Prior to joining Georgia Tech in August 2016, he was a Professor in the Department of Mechanical Engineering at the University of Maryland, College Park (UMCP). He completed his undergraduate studies from the Indian Institute of Technology, Bombay, India, in 1993. He received his M.A. in Mathematics in 1997, M.S. and Ph.D. in Mechanical Engineering and Applied Mechanics in 1995 and 1998 respectively, all from the University of Pennsylvania. He was also a Post-Doctoral Fellow in the Division of Engineering and Applied Sciences at Harvard University. He is a recipient of several NIH R01 grants, NSF CAREER award, and was also the lead inventor on the â€œOutstanding Invention of 2007 in Physical Science Categoryâ€� at the University of Maryland, College Park. He is also the recipient of the Ralph R. Teetor Educational Award. In 2011, he was an invited speaker at the National Academy of Sciences â€œDistinctive Voicesâ€� seminar series on the topic of â€œRobot-Assisted Neurosurgeryâ€� at the Beckman Center. He was also invited to attend the National Academy of Engineeringâ€™s 2011 U.S. Frontiers of Engineering Symposium. He has over 150 publications, is the founding Editor-in-Chief of the Journal of Medical Robotics Research, and Editor-in-Chief of the Encyclopedia of Medical Robotics (currently in preparation). His research interests are primarily in the area of image-guided surgical robotics, rehabilitation robotics, cancer diagnosis at the micro-scale, and grasping. He is a Fellow of the ASME and AIMBE.